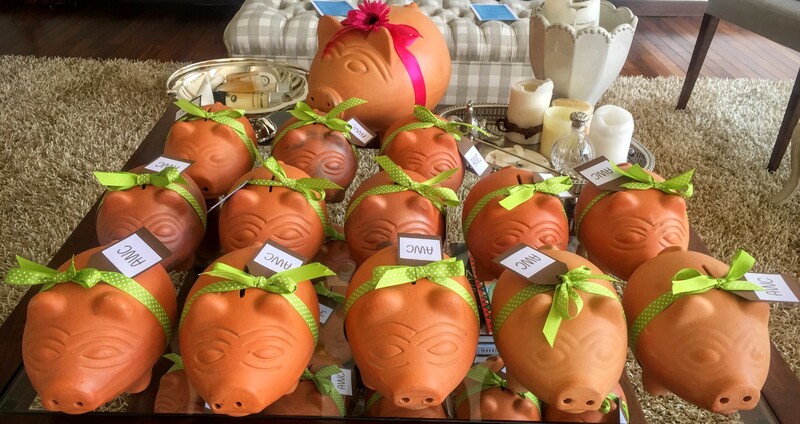 Please ask Jo-anne Harries for a pig! Then whenever you have that odd bit of change lying around pop it into the Piggy Bank for a wonderful cause!! The AWC have their own big piggy bank, Penny, who will graciously follow us to every event and board meeting having her tum filled up for our various charities. When your little piggy is full please email me so I can arrange a pick up. Looking forward to help change the lives of others contributing towards change for change!